Come to the wall for a unique Valentine's Day experience! Staff will be on hand to instruct and belay you and might come with you up the wall. This is an opportunity to climb at the wall without being belay certified. 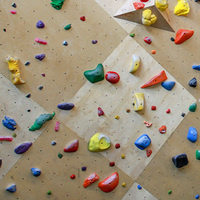 We will also be raffling off free a belay lesson for you and a friend for those who participate. Partner problems will also be set on the boulder side for those who are belay certified.